There are many examples I have seen in my life which have shown me how fragile life is. When I was 13, I used to come home from school and sit at the bedside of my grandfather, who was one of my best friends growing up; for five months I watched him slowly lose his strength and voice as cancer took it from him. Being real close to my grandparents and seeing them die, made me learn lessons of the mortality of life at an early age. The health of a person’s body is a great determinant or predictor of an individual’s understanding of their mortality. I’ve spent 3-4 months in a hospital not being able to move with freedom and in pain, and to be in that situation will humble the proudest of hearts. I promise you that most people who have faced traumatic health problems in their life, will most likely live their life wiser then those who are without any real health issues. They’re are some people that the only time you see them close to a hospital is if they’re in a car driving by 🙂 . But eventually, even they will end up needing assistance with their health, and they will focus on the things which are more meaningful to them, because it is certain that each day we live is one day closer to our death; it is the circle of life. So, we should live life with purpose and with meaning. Almost every time I have to go to the hospital for a routine check-up, or go in to purchase medicine, I see lobbies filled with elderly people needing help. When I go for a check up, I go in and walk past people with canes and walkers, then I go check in and sit down to wait until I get called… Even though I’m blessed to have the strength which I do have, I know that my strength can leave me at any time, and that makes me more disciplined to do all the things necessary to stay healthy. 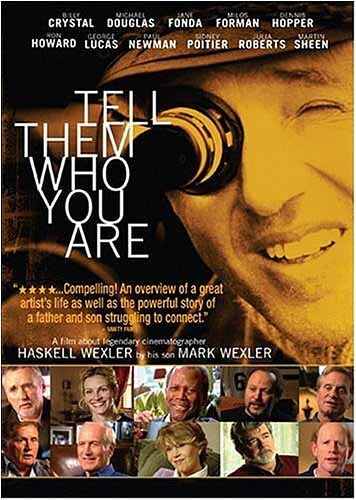 I love documentaries, and tonight sitting on my couch I watched one about how a son documents the life of his father, who is a famous filmmaker; in a desperate attempt to find some connection with his father, who is now 81 years old. Documentaries to me are true stories of real life, that follow the story line of the director. And as I watched this story of truth, of the relationship between an arrogant wealthy opinionated father and a son who longs to know him; the documentary showed me another picture of my feelings, and in a way, it gave me more clarity on who I am, and why I am the way I am. What changes the thoughts of men and their decisions on what they desire in life as they get older? My father just had his 62nd birthday this weekend. It is clearly noticeable how he has changed in the last 10 years of his life; the father I knew as a teenager is not the same person I know now. I believe that his transformation was not his choice, as the core beliefs in his heart remain unchanged. The reason why he had to change, to calm down his temper, was the fact that he has begun to understand his mortality; as he still is slowly recognizing that just as one cannot purchase time, one cannot purchase good health. It’s easy to say, “Don’t take any day for granted!”, and it’s unwise to live everyday like it’s your last. I’m just doing my best to plan to live the type of life I want to live. I don’t fear death; I just want to learn how to live.